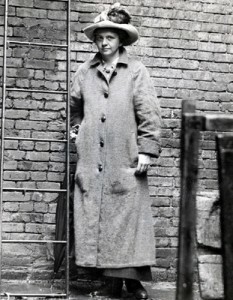 “Frances Perkins: The Woman behind the New Deal” is on display in the Rare Book & Manuscript Library through March 26th. Perkins was the first woman cabinet member, serving as Franklin Delano Roosevelt’s Secretary of Labor from 1933-45. 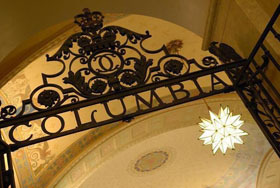 Columbia houses the most significant collection of Perkins’ papers outside of the National Archives. In addition to her papers, we have her 5,566 page Oral History transcript, portions of which are available in the Notable New Yorkers digital collection. This entry was posted in Events & Exhibits, History, Women & Gender on March 19, 2010 by Sarah Witte.